GUEST ARTICLE: So you’ve been asked by your company to head over to Japan and you’re worried that you’ll make a bad impression? The number one thing you should keep in mind is don’t worry, you’re not Japanese. As such you won’t be expected to know the right way of doing things. That said, it is always nice to be seen to be making an effort. To help you out here are Five useful tips for first time business travellers to Japan. Always pack more business cards than you’ll think you could ever use (especially if visiting a government offices), and when you get given someone else’s card, treat it gently (if in any doubt, just copy what they do). The basics of swapping business cards revolves around treating the card with respect. If standing, take the time to at least glance at their card, and then put it into your business card holder or wallet. If you do not have business cards, I would suggest making at least a basic card with your details on it for the trip. You are more than likely going to be taking out to lunch or dinner while in Japan. If you do not know how to use chopsticks, don’t worry, pretty much every place you go will have a knife and fork available. If you do know how to use them, here are a few things to be careful of. point at people or things with your chopsticks. Do: Copy what everyone else is doing. If you get lost, go shopping, venture out on your own, you are more than likely going to have to ask somebody a question. Three things to remember are that most people will understand English, that they will likely be too embarrassed to say so, and that anyone of high school or university age will have had to study many years of written English and grammar. So if you are having trouble getting your meaning across, write it down. If you can not write it down, try not to use full sentences. One or two keywords with a bit of body language will be more than enough to get you going in the right direction. Importantly, if you are staying in a hotel, take the hotel business card with you so that even if you do get totally lost, your hotel is only a taxi ride away (BTW, be careful of the taxi doors as they open automatically). While it will not be expected of you, business people often will bring a small gift from home to give to the company that they are visiting. This is often something like chocolates, crackers (senbei), or cake. The $5-10 investment will leave a positive feeling with the company your are visiting and as such might be worth your while. Speaking Japanese is not as hard as you might think, especially if you have an Australian accent. all you need to remember is where to break up the sounds. If you are going to try and speak any Japanese, below is a list of the basic sounds you might need. When you visit Japan, do not worry, it will be much easier than you expect. Most people that you will come into contact with will speak (or at least read) English, and 99% of them will not expect you to know any of the Japanese language or customs. Like many countries the secret is to mimic what everyone else is doing. Japan is a fantastic country to visit, and you are bound to have a great time. As this is a business trip, spend as much time as you can eating, drinking and shopping. Not simply to enjoy the wonderful food and drink available, but to see one of the best consumer focused markets in the world in action. Yokoso Japan (welcome to Japan). This guest article has been written by James Fridley. Having had an association with Japan for over 15 years including living and studying there for 3+ years and worked for the Japanese Government for 5 years, James Fridley has a really solid background in Japanese language and business culture. There is nothing he likes better than relaxing into an onsen (hot spring) and then tucking into a generous serve of yakitori (BBQ chicken). A reader has recommended that I add this tip. 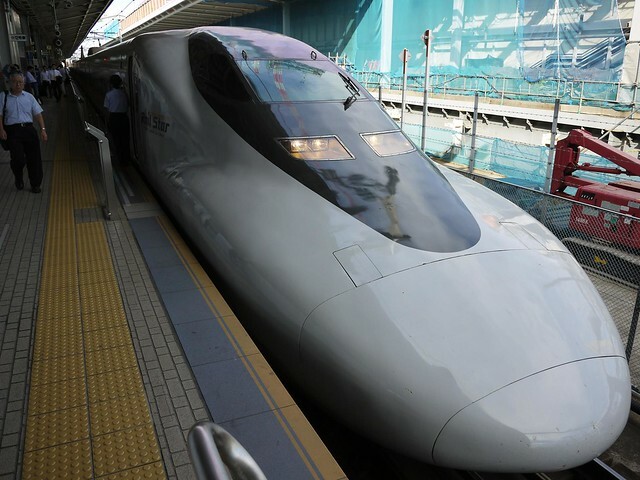 If you’re going to travel a lot in Japan consider buying a Japan Rail (JR) pass http://www.jtboi.com.au/jr_pass/jrpass.htm before you get to Japan. Japan has one of the worlds most convenient and efficient railway networks. Travelling by train is the ideal way to see Japan. The trains are comfortable, clean and easy to ride. Sit back relax and enjoy Japan as you glide across the country. The Japan Rail passes are available to travellers visiting Japan with tourist (temporary visitor) visas. A Japan Rail Pass Exchange Order MUST be purchased outside Japan, prior to your trip. Hey, thanks for the pretty good information. Now, I don’t think so traveling to Japan will leave me panicked. After couple of months, even I will have to fly to Japan because I have got job there in software company Rakuten. I surely can assure that this information will really guide me when I will be there. Also, if you can write more about this topic, then its well and good for me and also for the people who will come to Japan. Also please do share your experiences from time to time. Will wait eagerly for your next blog. Best bets for trying to use Australian debit or credit cards are Citibank, Japan Post or 7/11s (not necessarily other convenience chains) as many automatic teller machines in Japan do not accept credit, debit and ATM cards, which are issued outside of Japan. I like this article. I´ve never been to Japan, but i really want to go one day. These rules are very interessting. Especially those with the Busines Card and with the chopsticks. These hints will be very helpfull when going to Japan for a business meeting. Thank you. Japan is wonderful country, rich tradition, healthy cuisine and more. I’ve been to Japan for business trip several years ago. At that time, I don’t understand Nihongo, but I was glad a lot of them can speak English, though some speaks broken english, at least I understand what they’re talking about. The business card thing that you mentioned above, it’s true, do it with both hands. And as always, mimic what they do.